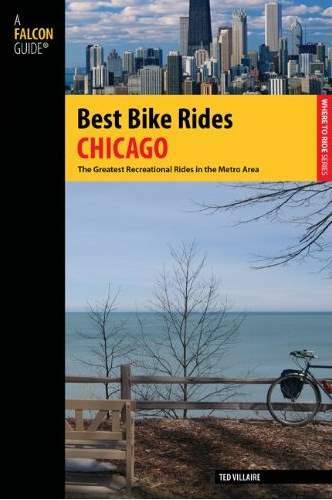 Written for cyclists of all stripes, Best Bike Rides Chicago presents a variety of scenic tours in and around one of America’s prime urban destinations—from easy excursions for the Sunday cyclist to challenging rides for the veteran. Discover why Chicago is considered the nation’s best large city for biking. Learn about little-known rides along the lakeshore, explore the network of regional bike paths, and get to know unique neighborhoods and communities. Farther out—whether you’re in the collar counties, Indiana, Michigan, or Wisconsin—the rides in the books will lead you to scores of parks, rivers, lakes, and stunning natural areas. . . not to mention quiet farm roads, charming towns, and unforgettable restaurants and shops. Prairie Fever is powered by	WordPress 3.5.1 and delivered to you in 0.181 seconds using 30 queries.